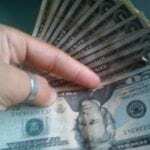 Come to Jamaica, and experience everything your heart desires!! Jamaica was named the # 2 happiest place in the world and #1 for destination vacation in the Caribbean. Not only for the of its abundance of beauty and tropical weather,splendid beaches, and the culturally diversity rich with history. Visitors to the Island of Jamaica call the town of Ocho Rios paradise. Ocho Rios is an exciting place with lots of wonderful experiences to offer people who come here, and the list keeps growing. Walk Under a Waterfall at Dunn’s River Falls a powerful stream, the moderate cascade of the waterfalls in Dunn’s River invites the playful adventurer to walk right under the tropical flows. Zip Line Through a Forest. You can coast along a zip line amid our lush interior canopies for an exhilarating feat of adventure. Insider’s Tip: Guests at Cavel’s Villa receive significant price reductions on a triple traverse zip line adventure over the White River Valley with their Jamaica Travel Saver Card, free for guests thru 6/30/16. Swim with the Dolphins at Dolphin Cove. 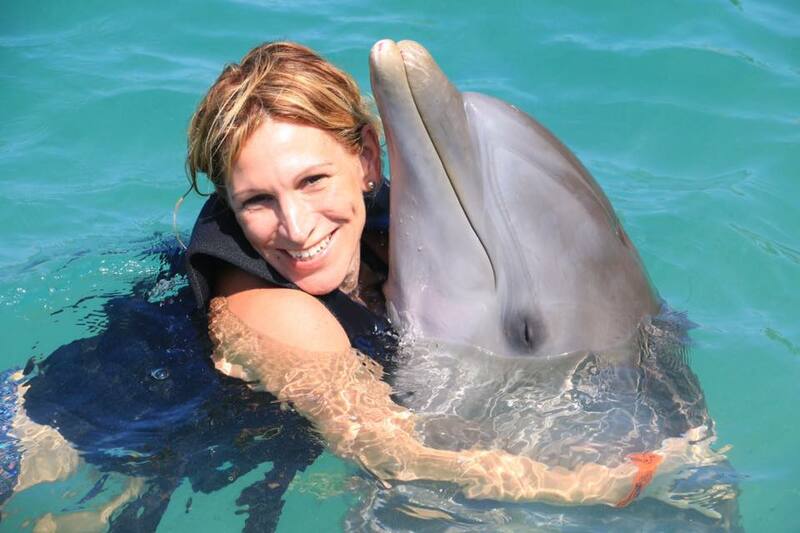 Enjoy the thrill and love of these amazing animals at must-visit Dolphin Cove in Ocho Rios. Get 2-for-1 Ultimate Dolphin Swim packages when you stay at Jamaica Ocean View Villa. Go Bobsledding -Olympic Style. Take a fast and furious bobsled ride on a track modeled after the famous Jamaica Olympic Bobsled Team, and you can do so without all the cold and ice. Swing from a Tarzan Rope at the amazing Blue Hole in Ocho Rios, newly opened to the public. This enchanting waterfall-fed swimming hole takes on elements of a lagoon, complete with crisp turquoise waters and Tarzan ropes you can swing from! Ride a Horse on the Beach. 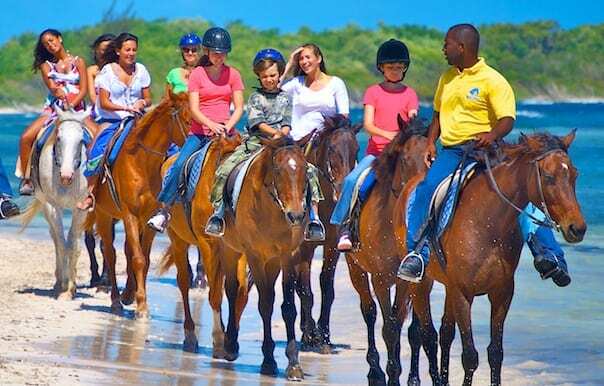 The friendly staff at Jamaica Ocean View Villa have arranged countless horse rides along popular beaches in Ochi (Ocho Rios) for guests longing for this majestic experience. Book now through 6/30 and get a free horseback on the beach tour with your Jamaica Travel Saver Card, free for Villa guests. 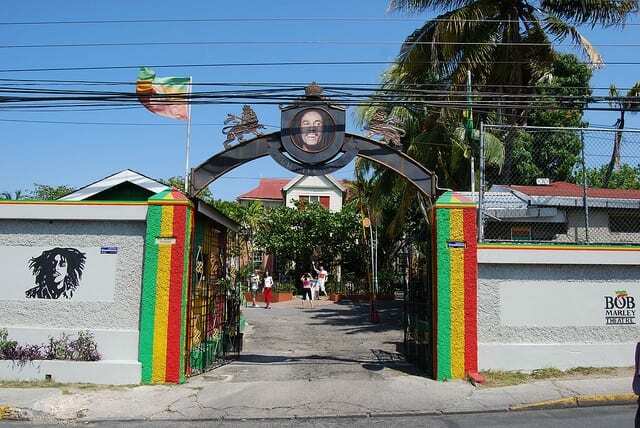 Pay Homage to a Legend at Bob Marley’s childhood home and memorial site in Nine Mile, St. Ann/Ocho Rios. 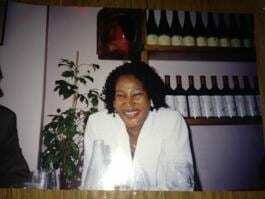 Visit Jamaicaoceanviewvilla.com for special pricing on this retrospective experience of the King of Reggae. 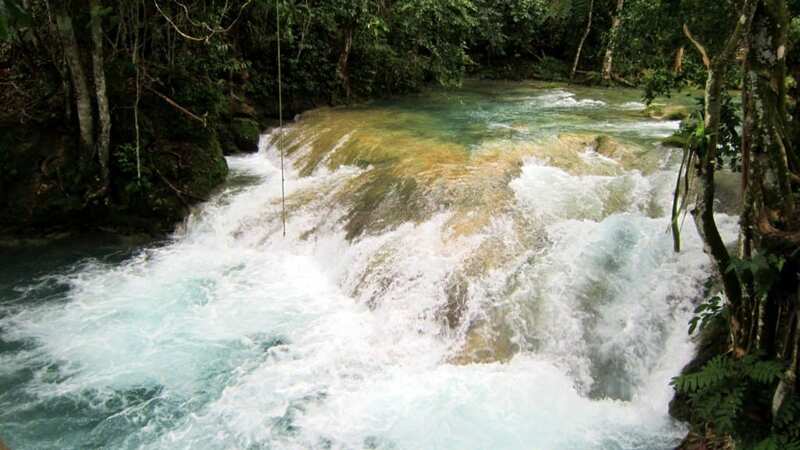 Go River-Rafting on Jamaica’s Rio Bueno River in Ochi. Safely shoot through Class II rapids with your certified instructor. 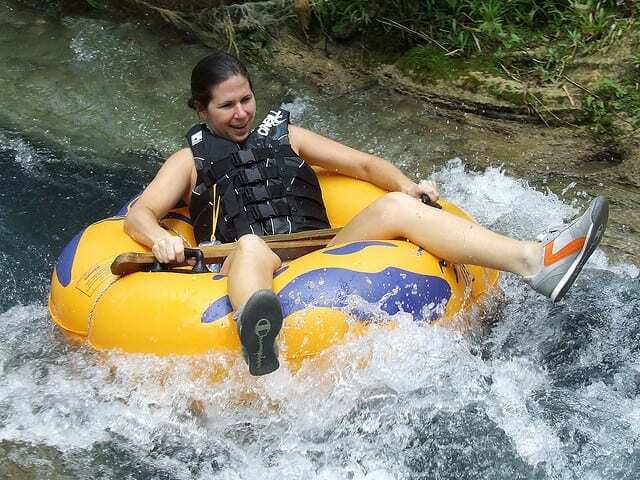 You can also choose to solo it and go river tubing. Ride a Segway. Master the modern personal transport technology of the Segway as you embark on an eco-friendly tour of a tropical forest, secret gardens, and magnificent fruits and flora. This one makes your bucket list and sustainable tourism. Cavel’s Insider’s Tip. Looking at family friendly vacation rentals like hers. Go to Jamaica, or as we’ve been known to say: “Come to Jamaica,” and experience everything your heart desires by staying with us in Ocho Rios. Most activities are child-friendly, and there are countless family fun packages to delight every member in your group. 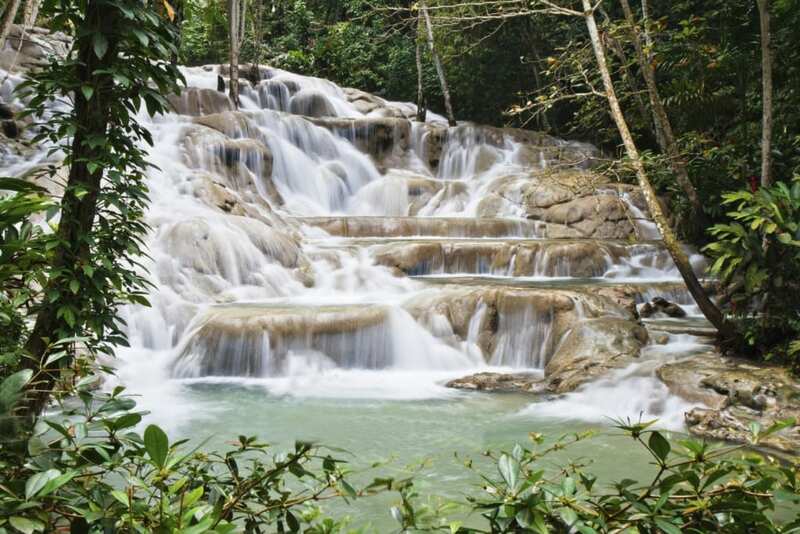 Ocho Rios weather is perfect for all manner of exploration and adventure, not to mention relaxation and fun-in-the-sun. Cavel’s family run private Villa is a Jamaica vacation rental in Ocho Rios that is open to all guests, whether you are coming with your young family, multi-generational families, couples or a group of ladies. For bookings and all Villa information, visit us here https://jamaicaoceanviewvilla.com. For details about the Jamaica Travel Saver Card specials, bucket list itineraries, and other package deals offered at Jamaica Ocean View Villa, click here: https://jamaicaoceanviewvilla.com/amazing-deals.